The following describes the Copyright Notice for CommonSenseLiving.com. The entire contents of CommonSenseLiving.com are protected by intellectual property law, including international copyright and trademark laws. The owner of the copyrights and/or trademarks are our website, and/or other third party licensors or related entities. You may use an exerpt of a post or article with a link pointing back to the original article to be read in whole.Entire articles may be used only with express written permission, and must include the byline given in the permission. You do not own rights to any article, book, ebook, document, blog post, software, application, add-on, plugin, art, graphics, images, photos, video, webinar, recording or other materials viewed or listened to through or from CommonSenseLiving.com or via email or by way of protected content in a membership site. The posting of data on our website, such as a blog comment, does not change this fact and does not give you any right in the data. You surrender any rights to your content once it becomes part of our website. You are granted a nonexclusive, nontransferable, revocable license to use our CommonSenseLiving.com website only for private, personal, noncommercial reasons. You may print and download portions of material from the different areas of the website solely for your own non-commercial use, provided that you agree not to change the content from its original form. Moreover, you agree not to modify or delete any copyright or proprietary notices from the materials you print or download from Common Sense Living. Also note that any notice on any portion of our website that forbids printing & downloading trumps all prior statements and controls. As a user at CommonSenseLiving.com, you agree to use the products and services offered by our website in a manner consistent with all applicable local, state and federal laws and regulations. No material shall be stored or transmitted which infringes or violates the rights of others, which is unlawful, obscene, profane, indecent or otherwise objectionable, threatening, defamatory, or invasive of privacy or publicity rights. Our website prohibits conduct that might constitute a criminal offense, give rise to civil liability or otherwise violate any law. Any activity that restricts or inhibits any other CommonSenseLiving.com user from using the services of our website is also prohibited. Unless allowed by a written agreement, you may not post or transmit advertising or commercial solicitation on our website. CHANGE NOTICE: As with any of our administrative and legal notice pages, the contents of this page can and will change over time. Accordingly, this page could read differently as of your very next visit. These changes are necessitated, and carried out by CommonSenseLiving.com, in order to protect you and our CommonSenseLiving.com website. If this page is important to you, you should check back frequently as no other notice of changed content will be provided either before or after the change takes effect. COPYRIGHT WARNING: The legal notices and administrative pages on this website, including this one, have been diligently drafted by an attorney. CommonSenseLiving.com has paid to license the use of these legal notices and administrative pages on CommonSenseLiving.com for your protection and ours. This material may not be used in any way for any reason and unauthorized use is policed via Copyscape to detect violators. The following describes the DMCA Compliance for our CommonSenseLiving.com website. We at CommonSenseLiving.com are committed to responding to any alleged copyright violations, should they occur. 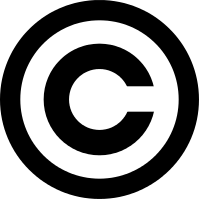 Notice of any alleged violation should take the form proposed by the U.S. Digital Millennium Copyright Act as revealed at http://www.copyright.gov. If any material infringes on the copyright of any offended party, we may remove the content from CommonSenseLiving.com, prevent access to it, terminate or block access for those responsible for the content, and/or any other action deemed appropriate. We may also pass along record of the incident for documentation and/or publication by third parties at our discretion. For your convenience and to speed resolution, notice of alleged infringement may be tendered to CommonSenseLiving.com via email, using the email address and/or contact information provided on this website. We warn that you will be liable for any and all statutory and common law damages, as well as court costs and attorney fees, if you falsify a claim that your copyrights have been violated. Six figure awards have already been granted for bogus complaints, so seeking the help of competent counsel is advised. CHANGE NOTICE: As with any of our administrative and legal notice pages, the contents of this page can and will change over time. Accordingly, this page could read differently as of your very next visit. These changes are necessitated, and carried out by YOURCOMPANY, in order to protect you and our CommonSenseLiving.com website. If this page is important to you, you should check back frequently as no other notice of changed content will be provided either before or after the change takes effect.